John Flaxman was born in York, England, in 1755 but spent most of his working life in London. A notable exception to this was the formative period he spent in Rome, studying ancient art and working on a number of commissions between 1788 and 1794. Starting his career creating designs for the world-famous Wedgwood potters, Flaxman went on to create sculptures and illustrations in a Neoclassical style. In reaction to the over-zealous decoration incorporated in the Rococo style which came before this period, Flaxman's work comprised of clean lines, minimalist surroundings and heavy influence from Ancient Roman and Greek sources. A success in his own lifetime, Flaxman established a good reputation and became the Royal Academy's first professor of sculpture in 1810. 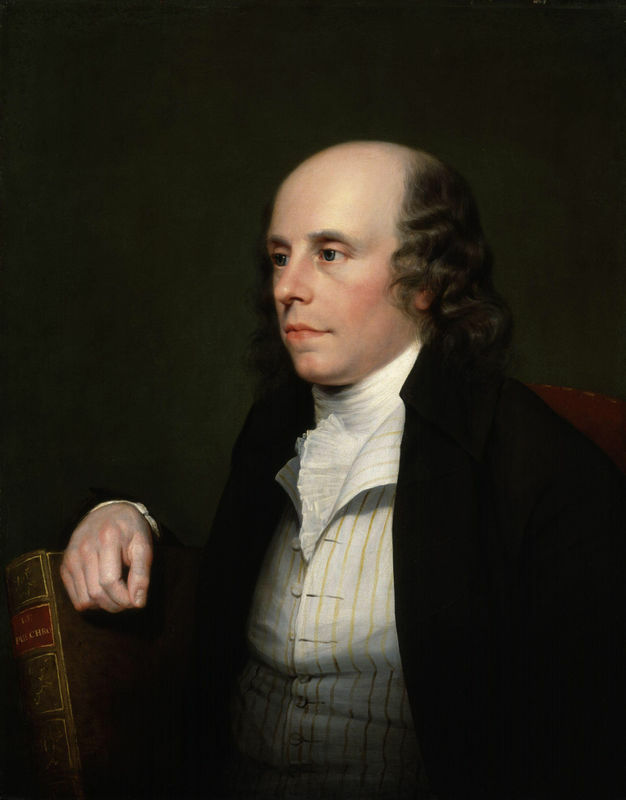 Born on 6 July, 1755 in York, England, the son of John Flaxman Sr. , was a sickly child and spent much of his early youth in his father's plaster cast workshop. There he studied Classical Literature and honed his skills as a sculptor. Flaxman's mother is known to have died when he was nine and his father remarried some years later. Through his father's work, the young Flaxman met several influential people who would later become his patrons and admirers. The Rev. Mr. Matthews and his wife were regular visitors; Mrs. Matthews even read Flaxman Homer and the Iliad and introduced him to the 'blue stocking circle' of society. 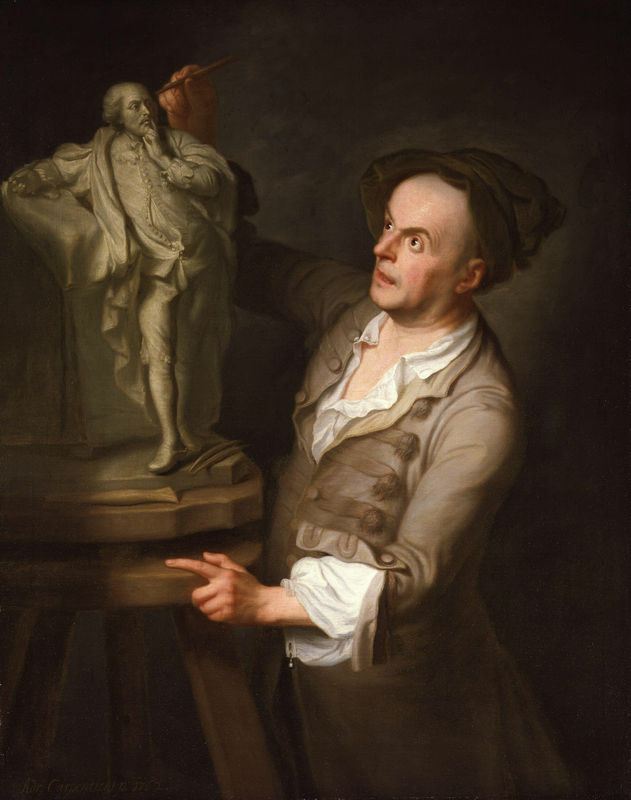 In the workshop he also met the French artist, Louis-François Roubiliac, who encouraged him to practice his draftsmanship and proved to be an inspiration for Flaxman's later works. John Flaxman entered the Royal Academy School in 1770 where he met William Blake and the formed a life-long friendship. Blake was integral in encouraging Flaxman's appreciation of medieval and Renaissance art. 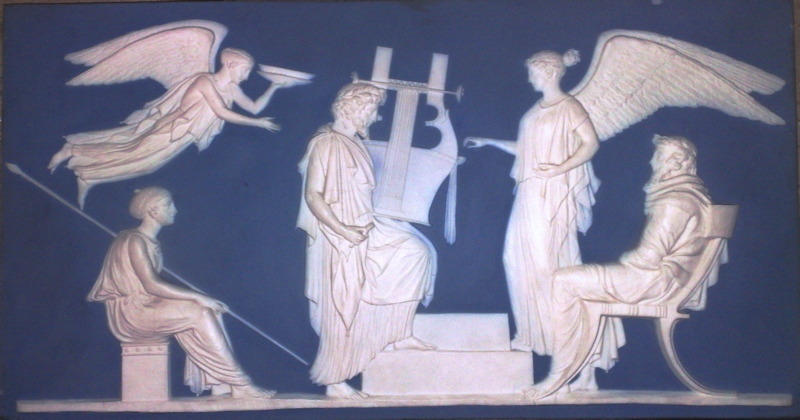 In 1775, Flaxman started to work for the pottery manufacturer Josiah Wedgwood. Here his designs were produced in wax and Flaxman learned a great deal of discipline from creating work that had to be translated into the silhouette form of Wedgwood's famous Jasperware. Scenes such as The Apotheosis of Homer were hugely successful for Wedgwood and were produced on plaques, pots and chimney pieces. At the age of 27 Flaxman married Anne Denman, who went on to assist him throughout his career. She was well-educated and a devoted companion. In 1787, Flaxman travelled to Rome, originally for two years, to study all things antique. However, the artist found much success in Rome and earned many commissions, and he didn't leave until 1794. During his time in Rome Flaxman started to create what would become known as his academic groups such as The Fury of Athamas and Cephalus and Aurora. Rome also inspired the creation of illustrations for historical and epic tales. These included, The Odyssey and The Iliad and The Tragedies of Aeschylus. These publications were known to encourage the spread of Neoclassicism in England and Flaxman's use of clean lines and simple composition helped to cultivate his reputation as an artist more than anything else. 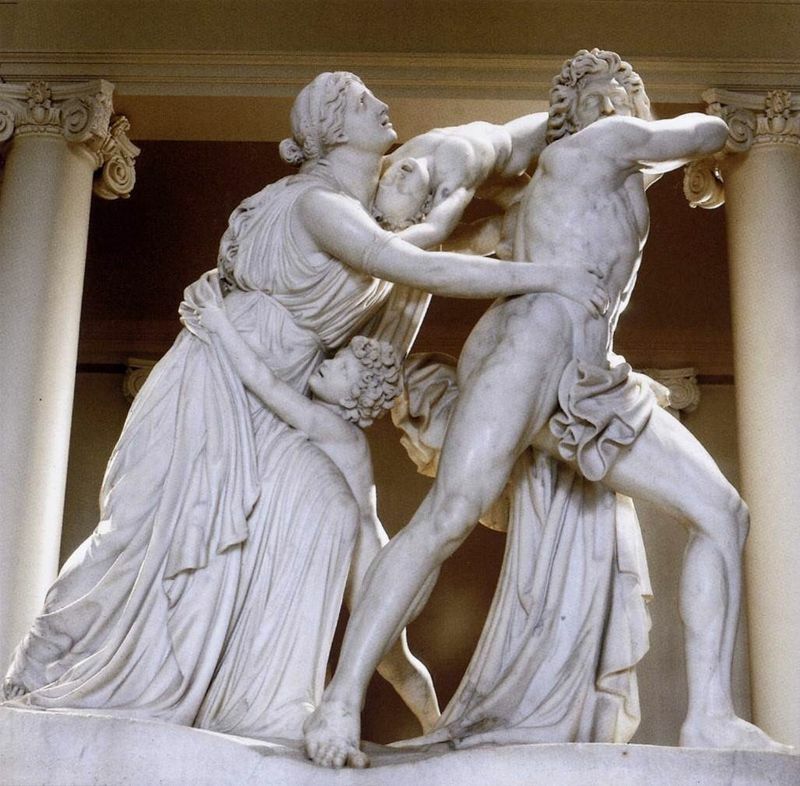 From 1800 onwards Flaxman's reputation as a sculptor grew as he produced a range of works. 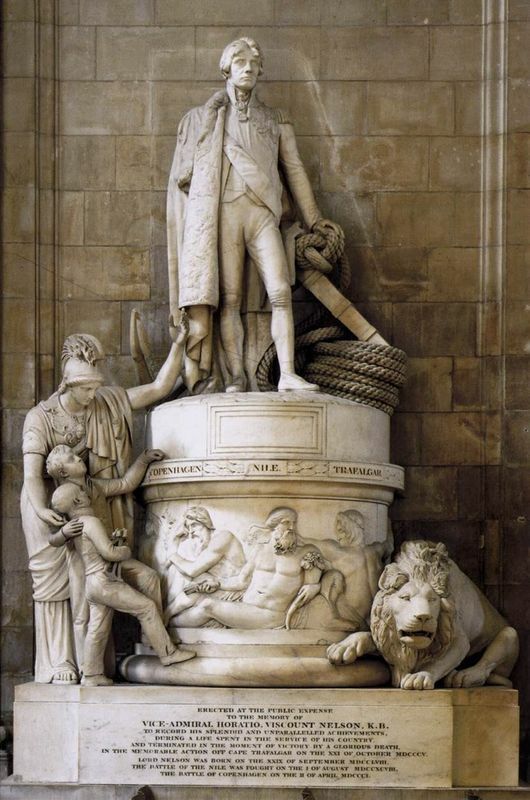 One of his most famous is the Monument to Lord Nelson in St. Paul's Cathedral which was created by Flaxman between 1808 and 1818 and can still be seen there today. During Flaxman's later years he continued to produce monuments and reliefs for his large circle of patrons. They included Sir Joshua Reynolds and Sir John Moore in Glasgow. Flaxman's beloved wife Ann died in 1820 and he continued to work and live with his own sister, Marie Flaxman, and that of his late wife, Marie Denman. Flaxman himself died in 1826 at the age of 71, having contracted a fever.